Tom Cruise takes Suri to a park in Westchester, NY. Father and daughter enjoy some quality time together and some fun in their excursion! 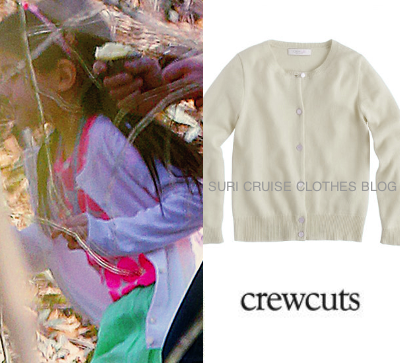 Suri is wearing Dot tee in neon azalea ($26.50) and Cashmere Cardigan in white ($138) both by Crewcuts.